2018 Mastercraft XStar Head-turning looks: check. The storage and comfort you need for all-day wakeboarding sessions: check. Bonus wakesurf capabilities: check. And most importantly - the world's finest wake: double check. The 2018 XStar is wakeboarding in its most distilled, most awesome form. 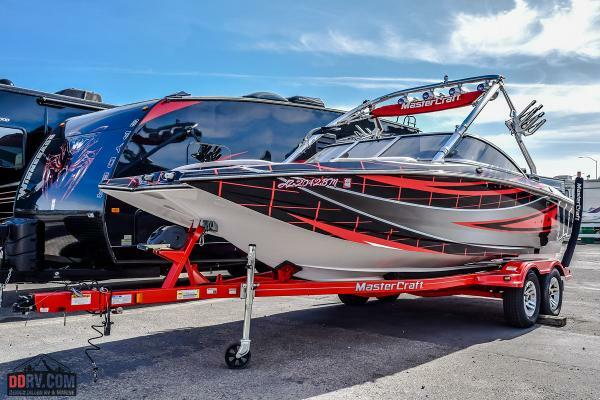 2019 Mastercraft XStar Wakeboardings original high-performance boat is completely redesigned and rebuilt to bring it. And by it we mean a radical new hull design for unparalleled wakes and the FastFill Ballast System to get them rolling in under three minutes, plus a new custom rudder for next-level-nimble handling. Add to that an intelligently designed, comfortable interior that includes even more storage for all day sessions with everyone The XStar serves up the biggest, baddest wake in the industryplus more high-end extras standard than any other boat we make. This includes: the ZFT4 Tower, our innovative dual screen control, the Switchback Ballast tank and FastFill pumps, a next-generation 5500 GDI Ilmor Engine with 2:1 transmission and a premium audio package. Theres so much new awesomeness packed in that the XStar won the coveted Innovation Award from the National Marine Manufacturers Association (NMMA). The icon is better than ever. Boat and trailer have been well maintained by current owner. New gelcoat - May 2013 - All Decals Removed The new interior was completed in June 2016 The boat has not been ridden more than three times since Summer 2017. Approximately 400 Engine Hours, but needs to be verified. 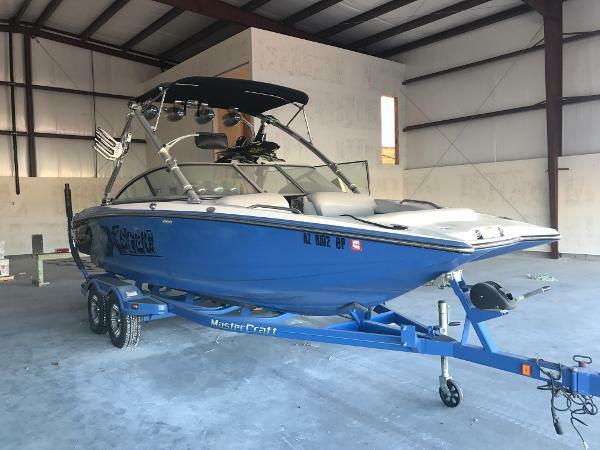 Video Walkaround here: https://youtu.be/ffIs06V1Hc0 Stock #146036 Unrivaled Performance Wakeboard Boat, Ready to GO! Reason for selling is owns to many boats. 2004 Mastercraft XStar 187.2 original hours on MCX 350HP Engine, tower speakers, bimini, brand new cover, updated 09 graphics, brand new 2012 Boatmate trailer. This boat looks and drives like a brand new boat at half the price. 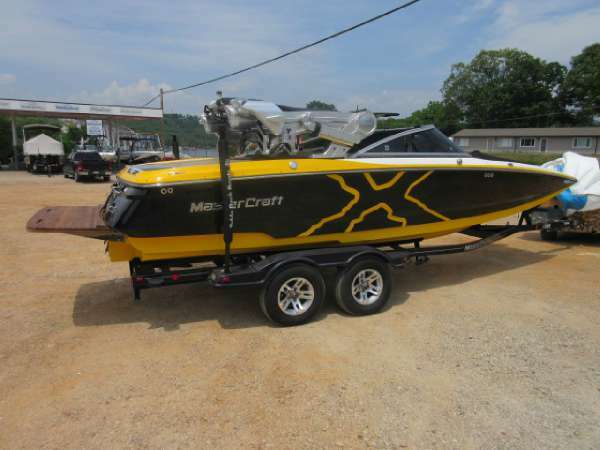 2013 Mastercraft XStar This boat will not last! It is in excellent condition! This boat is absolutely stunning best color, hottest boat on the water! She is a show stopper fully loaded. 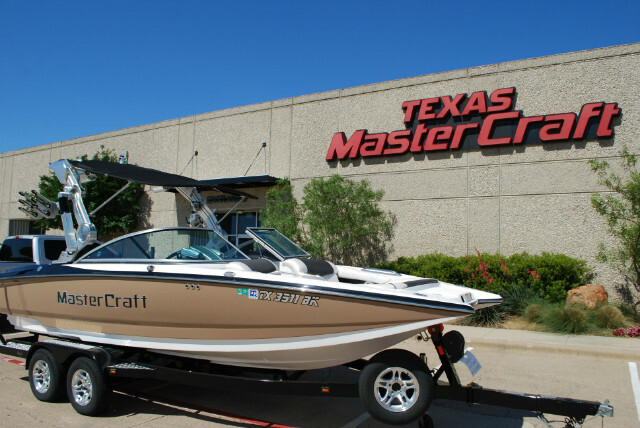 In 1996, MasterCraft invented the high performance wakeboard boat. 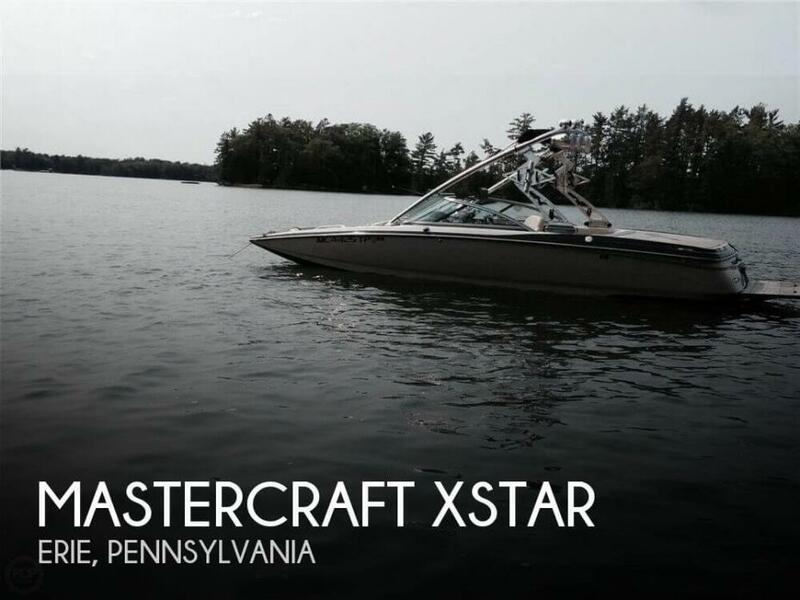 Since its inception, the X-Star has been awarded the Riders Choice Boat of the Year by WakeWorld.com an unprecedented 8 times. Now, weve reinvented the masterpiece. Bigger, more powerful and stacked with a trifecta of technology, luxury, and performance features that has generated rave reviews from the industry media and every pro athlete thats ridden behind it. So test your mettle with the ultimate. This is the machine as important to wakeboarding as water itself. 2007 Mastercraft XStar SALE PENDING Exquisitely sculpted and continually refined, the X-Star is defined not by what the boat is, but what it does. 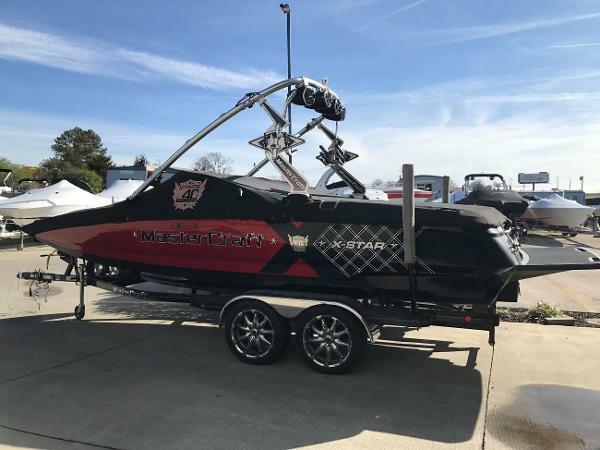 The fastest-selling wakeboard boat of all time, it is a study in contrasts; its hard-edged, American industrial chic exterior cleaves a path of thick, smooth-tipped wakes. This powerful combination has led the X-Star to three straight Rider?s Choice awards and the praise of riders the globe over. 2007 Mastercraft XStar Exquisitely sculpted and continually refined, the X-Star is defined not by what the boat is, but what it does. 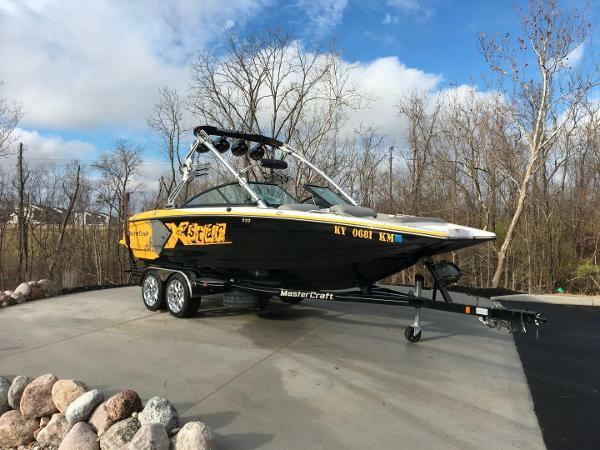 The fastest-selling wakeboard boat of all time, it is a study in contrasts; its hard-edged, American industrial chic exterior cleaves a path of thick, smooth-tipped wakes. This powerful combination has led the X-Star to three straight Rider?s Choice awards and the praise of riders the globe over. 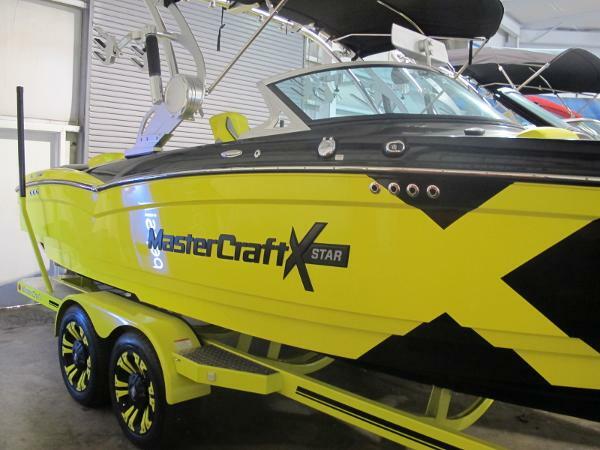 2008 Mastercraft XStar 2007 Mastercraft X Star 40th Anniversary wake boat. Just in and won't last long. This is 1 of only a few made in 2007 for Mastercraft's 40th Anniversary. 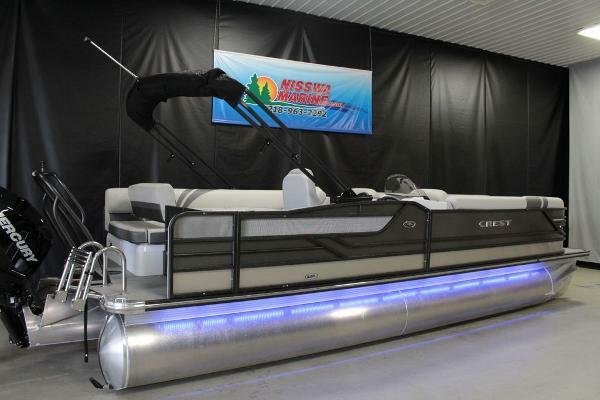 Loaded with cruise control, ballast, bimini top, 4 billet tower speakers, low profile trailer, and more. Call today for more info. 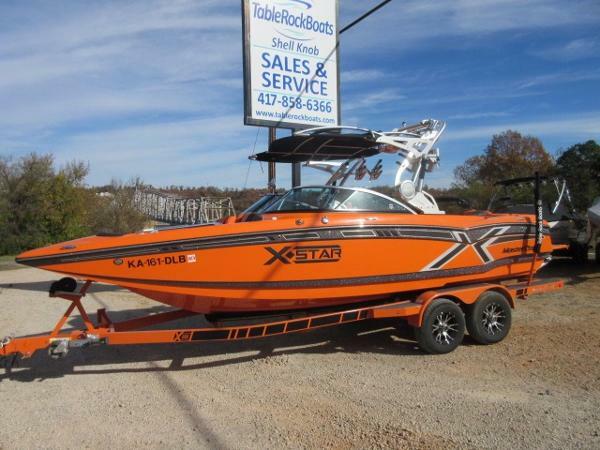 865-777-2628 Exquisitely sculpted and continually refined, the X-Star is defined not by what the boat is, but what it does. The fastest-selling wakeboard boat of all time, it is a study in contrasts; its hard-edged, American industrial chic exterior cleaves a path of thick, smooth-tipped wakes. This powerful combination has led the X-Star to three straight Rider?s Choice awards and the praise of riders the globe over. 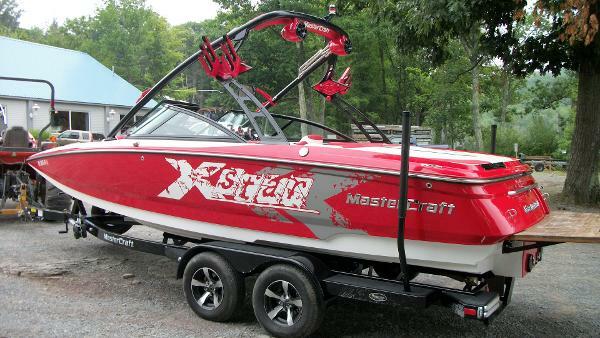 2014 Mastercraft XStar Game Changer Every wakeboard boat on the water gets compared to the X-Star. The truth is, there is no comparison. Gen 2 Equipped, 6.2L Ilmore Engine. 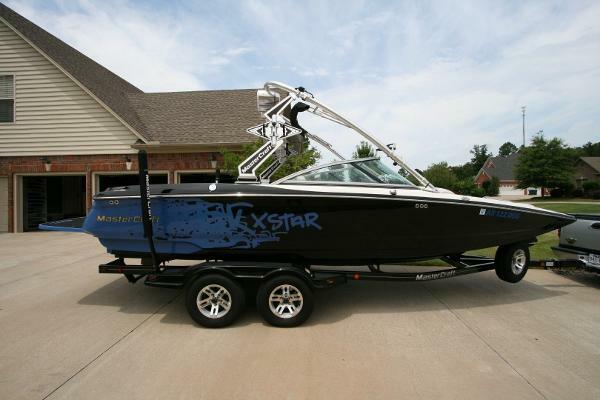 2007 Mastercraft XStar 2007 Mastercraft X Star 40th Anniversary wake boat. Just in and won't last long. 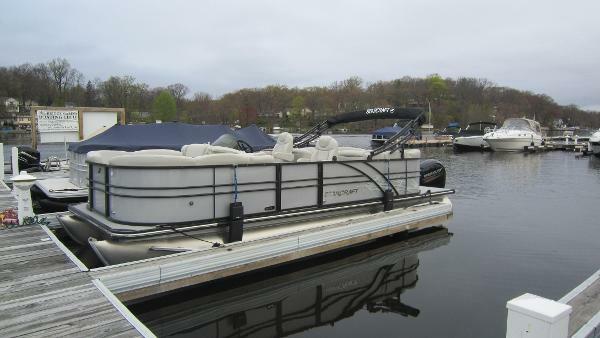 This is 1 of only a few made in 2007 for Mastercraft's 40th Anniversary. Loaded with cruise control, ballast, bimini top, 4 billet tower speakers, low profile trailer, and more. Call today for more info. 865-777-2628 Exquisitely sculpted and continually refined, the X-Star is defined not by what the boat is, but what it does. The fastest-selling wakeboard boat of all time, it is a study in contrasts; its hard-edged, American industrial chic exterior cleaves a path of thick, smooth-tipped wakes. This powerful combination has led the X-Star to three straight Rider?s Choice awards and the praise of riders the globe over.